According to two recent studies, certain populations are not being reached by digital health including senior citizens and low income patients. Digital health tools are effective, but only if they reach populations that need them. 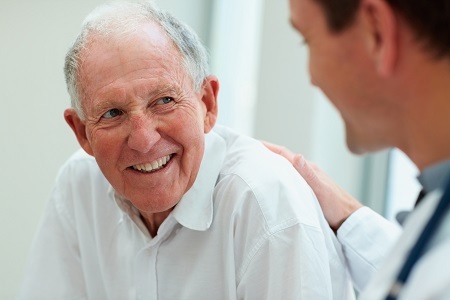 According to one recent study, seniors are not accessing the tools that could help them and, according to another report, low income patients aren’t using digital health tools to manage their conditions either. “Mobile applications, or apps, have the potential to help patients with diabetes and other chronic conditions manage their health better. But as currently designed, health apps can present challenges to the vulnerable populations who would likely benefit the most, including the poor and patients with low levels of health literacy,” explained the Commonwealth Fund study. This study notes chronic conditions such as diabetes and depression often require close monitoring of symptoms and making changes to diet, exercise, and medication — all of which an app could aid in. However, low-income patients suffer disproportionately high rates of chronic disease and aren’t accessing the technology that they need. MobiHealth News reports manual data entry led to many patients not being able to complete the tasks the app assigned. Also, patients were unable to receive data such as information about upcoming appointments. None of the apps had simple interfaces with large buttons and easy-to-follow instructions and navigation. Many of the apps lacked explanations of various functions as well. In 2011, 21 percent of the seniors interviewed used any digital health tool. In 2014, the number had only increased to 25 percent. “Digital health is not reaching most seniors and is associated with socioeconomic disparities, raising concern about its ability to improve quality, cost, and safety of their healthcare,” the authors wrote in a research letter for JAMA.